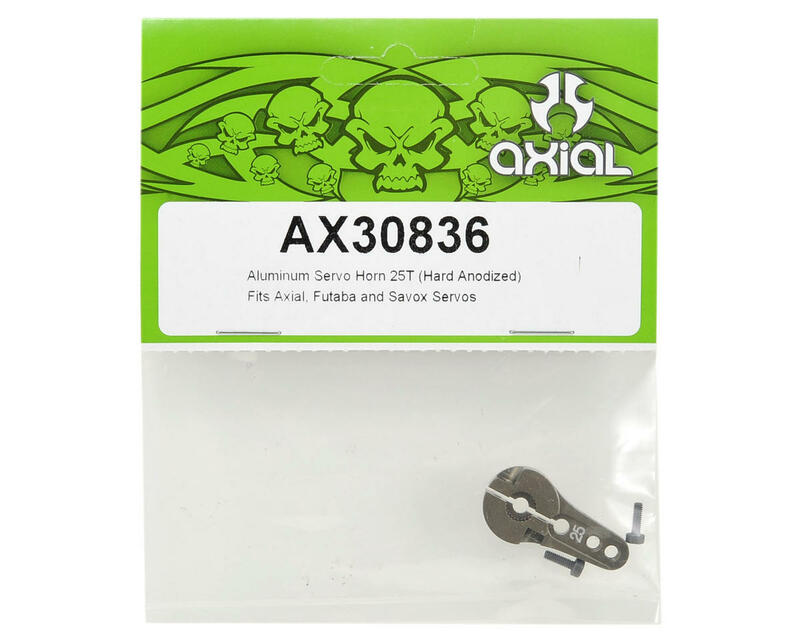 This is an optional Axial 25 Tooth Aluminum Servo Horn, and is intended for use with the Axial Wraith, Scorpion, SCX and XR10 trucks. If you drive your Axial based rig hard, then you already know how tough the rocks can be on a servo horn. Upgrading to Axial's HD aluminum servo horns will give you added piece of mind on those all day expeditions. Installed on a scx10 Honcho. Slight modification but works well! Easily recommend this, because of its excellent construction and finish. The two added screws secure this horn perfectly. Installed on a Savox servo. My stock arm stripped, this was the replacement to go with my hitec 7950th. Very nice design with the double clamp system. I appreciate the threaded holes as well, now I don't need to use an extra nut on the back. Highly recommended upgrade! Adds great finish to my Wraith project. 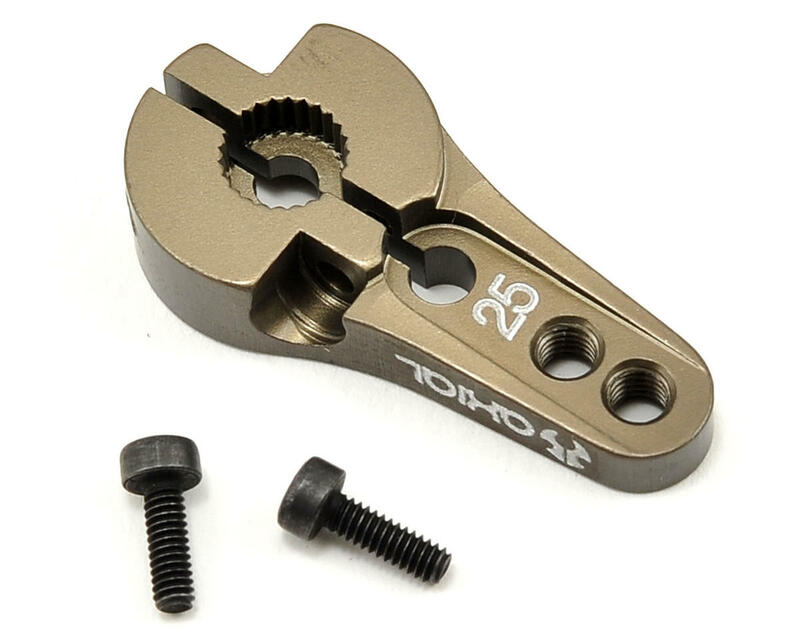 Great addition to any Axial rock-crawler.